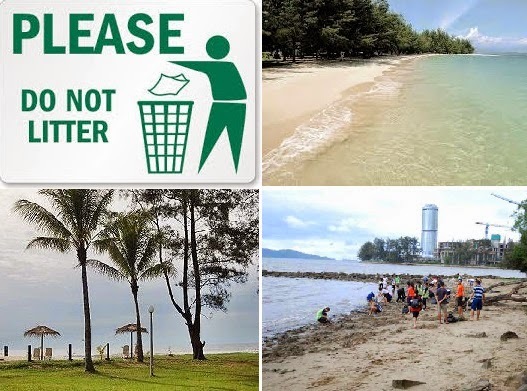 Tourism, Culture and Environment Minister Datuk Masidi Manjun has urged the society to change their attitudes and start to pay serious attention over the environmental cleanliness. Complaints on cleanliness along Sabah's shores are nothing new and the City Hall has taken the step to clean the shores on daily basis. However, the effort is not enough to overcome the issue as long as the people have no conciousness towards the cleanliness of ocean and rivers. The situation in Sembulan, for instance is quite worrying and City Hall's is going to redevelop the area with the hope to solve the cleanliness issue there. It is sad to see that littering problem is still haunting the society eventhough there were so many measures have been taken to educate the people on environmental cleanliness. We should realize that it is our responsibility to ensure the environment is clean and protected. Doing our part to keep litter to a minimum is easy, but it takes vigilance yet it is never to late for us to make a change for a better environment through our mindset, habit and attitude.